Reach the next level of interactivity! 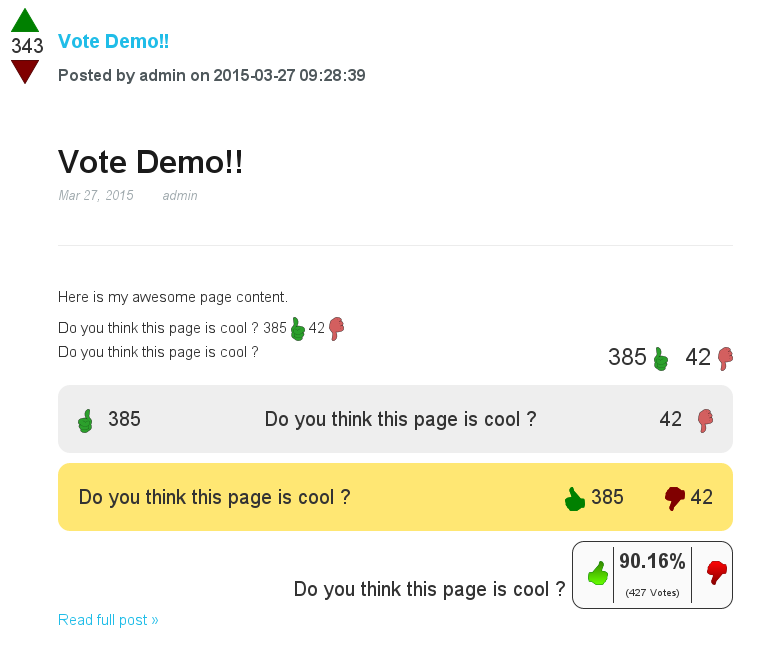 Let your users to express their likes and dislikes on any page within seconds! All the blocks support Stacks and global areas, the votes are attached to the page it is viewed in, and not the area itself. Same goes for the thumbnail/page name/page description patterns replacements (all the info is taken from the page the ballot box is attached to which lets you show pages from a pagelist and still get the right information on).